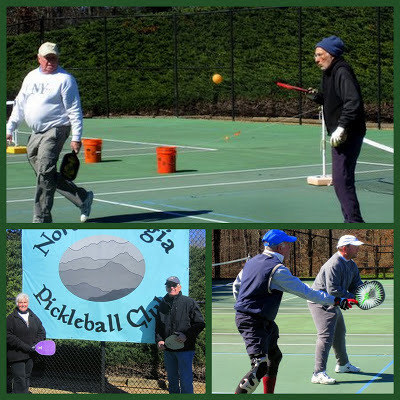 Even the 35 degree morning weather with gusting winds could not keep them or club members Ken Riordon and Tom Earley, top photo (Tom is back on the courts after after knee replacement surgery just 5 weeks ago!) . Also pictured is Buzz Ahrens and his son Jason.